The level of anxiety and stress among students is shooting up off the charts with just 1 day to go for CBSE exams. Students are in rush-mode and mugging up everything from their CBSE sample papers. Needless to say, this stress level takes toll on their lives drastically and makes them do things that they regret at the last moment. 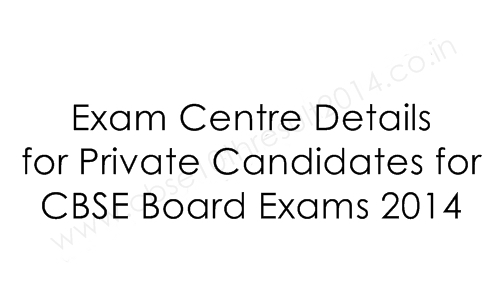 Students are required to click on the “Center Information for Private Candidates for Board Examination 2014” section on the first website address given above and the select class X and XII. They will now be required to fill in important details such as their full name, mother’s name, father’s name, and roll no. After filling in details, they must click on the search button to check exam center details and download it for future use.